Here’s another yummy meal made from Appetite for Reduction! I’m definitely going to keep this book in heavy rotation for a while. A.) because I need to drop a couple of pounds (not that it’s a diet book, but at least it’s mostly light on oil) and B.) because the recipes tastes really good! 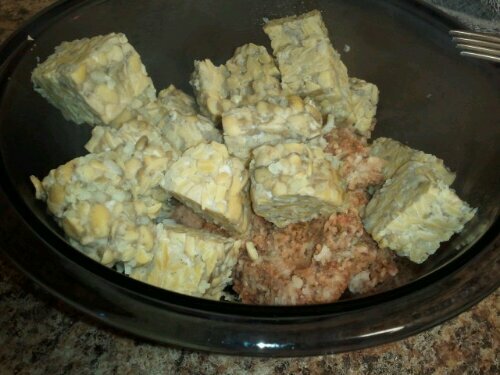 Tempeh cubed and ready to hit the steamer. About to be mashed into the rest of the bean ball ingredients. Heading into the oven to bake. 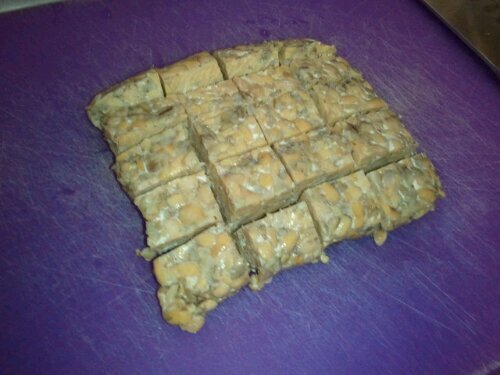 The recipe consists of three recipes. 1 for bean balls, 1 for the sauce, which is a variation of her basic sauce in this book, just with some cajun spices, and 1 for the general recipe which includes 2 c. of chopped zucchini, for which I subbed cauliflower that needed using. This looks so good! 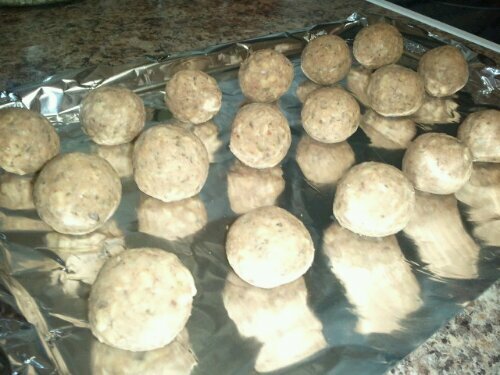 Making a substitute for meatballs has always been in the “impossible” category in my mind, but these look pretty yummy. they do have a distinct black eyed pea flavor, but they were yummy! i really like the AFR book. 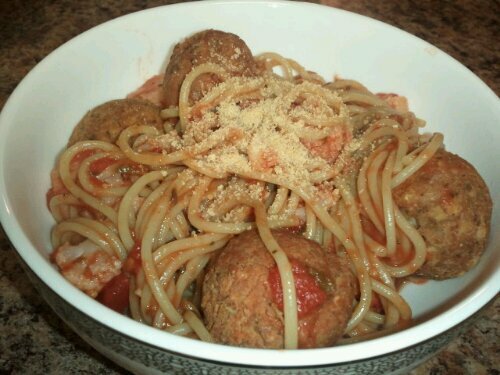 you may also want to take a look at my spaghetti & “meat”ball recipe? This just made me so hungry!